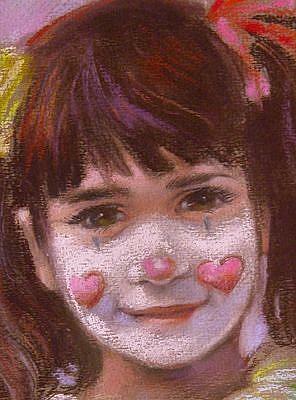 This pastel is of my daughter who is now grown with four children of her own. 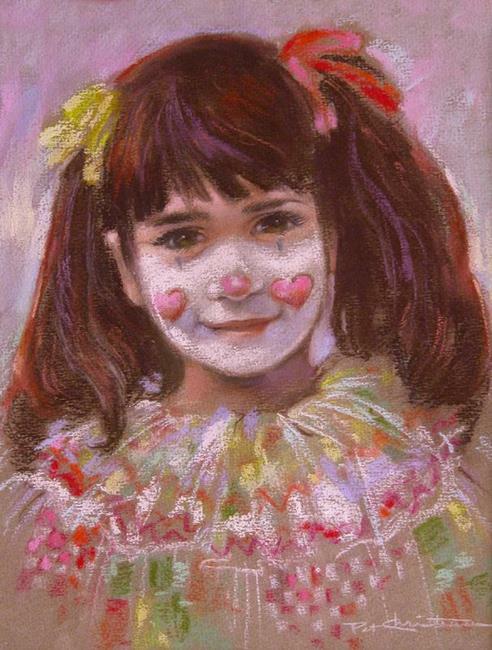 This is a favorite for clown collectors. I could have sold the original many times. The portrait captures her spark, beauty, and joyful energy. Available as a giclee print in ACEO Art Trading Cards as well as larger sizes.